The spotlight is shining on increasing transparency and driving change within Australia’s growing aged care sector, with a number of consumers already making the most of changes allowing them more power and control over their care. Four months ago, national multi platform media company DPS Publishing, in collaboration with Care Opinion, launched a pilot of the nation’s most interactive online aged care review and ratings initiative - available via AgedCareGuide.com.au - which aims to not only increase accountability within the aged care sector, and put choice in the hands of seniors, but also to facilitate dialogue between aged care providers and older Australians seeking care. Since the pilot launched back in May, more than 240 stories about various aged care experiences have been published publicly by consumers, reaching upwards of 100,000 people in the process. Gayle Smith’s story about her experience putting her parents into aged care is one of the 300 stories that is already making a big and positive impact on the industry, and the decisions of current and future consumers. “I had seen Care Opinion previously and had read some stories that people had posted and I thought it would be a good idea to communicate my story so I found it online,” Ms Smith explains. “I wanted to be able to acknowledge the terrific welcome that we had to Monterey and let the staff there know that we were very impressed with their welcome of us. “My review was very positive, which was a reflection of my experience in undertaking a visit to the residential facility, and I was very pleased to be able to leave the review and let the staff know that we had such a positive experience. “I particularly liked that we could give immediate feedback and also receive an immediate response from the Chief Executive himself! “He responded the same day and it was such a thoughtful and caring response. Ms Smith says she was “really pleased” to have such an open and direct dialogue in a safe and secure space. “The value of social media is its immediacy and transparency and in this instance, it gave great reassurance about the sort of organisation they were,” she explains. “I think it is very helpful to see what other people have to say - I know that not everyone has the same expectations so I know to take that into account when reading reviews of anything, but it's certainly helpful to hear the reports of others’ experience. Tina Lloyd is another consumer who, just like Ms Smith, embraced the opportunity to share her story openly and honestly with the world via the AgedCareGuide.com.au and Care Opinion consumer ratings and reviews platform. Ms Lloyd was alerted to the online review platform by the aged care provider caring for her mother, and decided that her positive experience with them was one worth sharing. 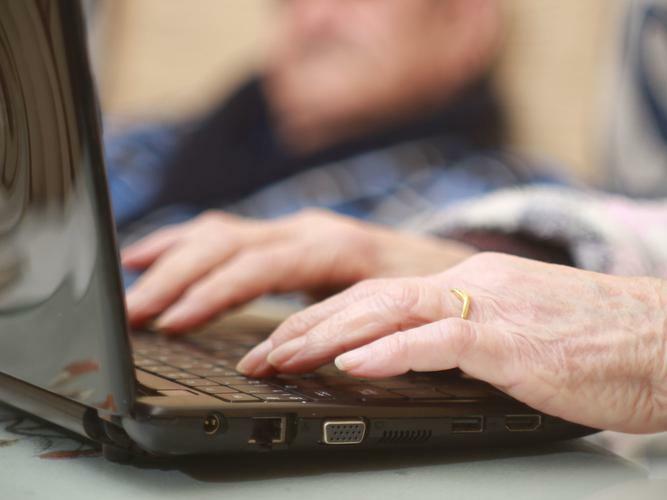 “I think it’s great that there is somewhere online to upload reviews of aged care homes - I do think it is a good idea so that others can look and see what the situation is rather than going straight into a home and being bombarded with things because it is overwhelming,” she says. “While my review of the aged care home was positive from my experience with my mother, you need feedback of any sort - positive, negative and neutral. “People need to know where they are leaving their old folks and how they are being cared for. “I enjoyed having that open dialogue and I am happy that the public are able to see my review - even if it was negative - some things need to be said because they are important. While acknowledging that not everyone’s experience is positive and that it's not always possible for everything to go right all the time, Ms Smith says a willingness from providers to listen and respond positively to feedback is very important. “It gives confidence that it is ok to raise issues and know that they will be listened and responded to positively, not defensively,” she explains. “The platform gave me a forum to provide immediate feedback and have a dialogue with the CEO which I otherwise would not have been able to have. Mark Ogden, Chief Executive Officer (CEO) of DPS says it is extremely satisfying to see consumers, like Ms Smith and Ms Lloyd, interacting with the platform. “I am thrilled to see consumers interacting and benefiting from the consumer ratings and reviews - especially since the whole drive for it came from our consumer research,” he says. “I am even more pleased that providers are starting to see the benefits of listening and responding to consumer feedback. With the industry moving in a more ‘consumer centric’ direction, and with the dynamics changing with the influx of baby boomers, Mr Ogden says a tool like the one DPS is offering is more relevant than ever. “It’s all about creating dialogue between consumers and providers so that the change we are seeing will enable the industry to improve where it needs to the most. To find out more about aged care reviews and ratings, and to share your story, visit https://www.agedcareguide.com.au/reviews .